The RT1000 meets the demands of the motorsport enthusiast, with all the function but none of the frills. Weighing in at a lean 8.9kg (total) and homologated to FIA standards, grab a couple today and get racing. Any colour as long as its black! A classic design. 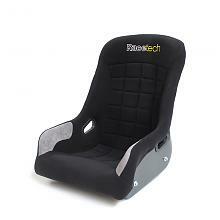 Similar in shape to the RT1000, but wider overall and with flared thigh support, this racing seat is best suited when easy access in and out of the seat is required. 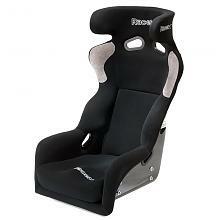 Also useful for applications where fitting a wider variety of body shapes is important e.g ride seats. 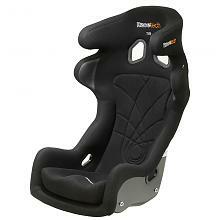 Superior comfort and support make this the quintessential driver’s seat. 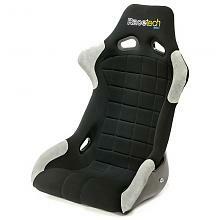 Adjustable, removable back and base cushions allow hassle-free customization. Building upon the successful 129 series, Racetech offers the same ergonomic form and incredible feature set but in a lighter and more affordable package. Used by many professional teams at both national and international level. 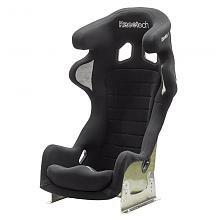 Surpassing the stringent demands of the FIA 8862-2009 standard, the 129 series is Racetech’s no compromise pro-motorsport seat. Adept at cradling Bathurst winners and most of the V8 supercar competition, there is none better when it comes to comfort and safety. 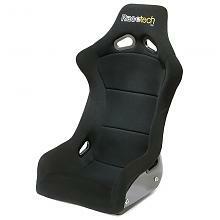 Racetech offer the innovative Lowback series as a solution for boats, kit cars and custom-shop fabricators. Using the established 1000 and 4000 seat we remove the head support making this series ideal for fitting into low cabins or as an alternative for classic cars where FIA homologation is not required.